2014 was one of the better years for the women’s game. Three Test matches were played (the last time as many were played in a year was in 2006), besides 38 One-day internationals and 71 Twenty20 internationals. The introduction of the ICC Women’s ODI Championship was a welcome development. 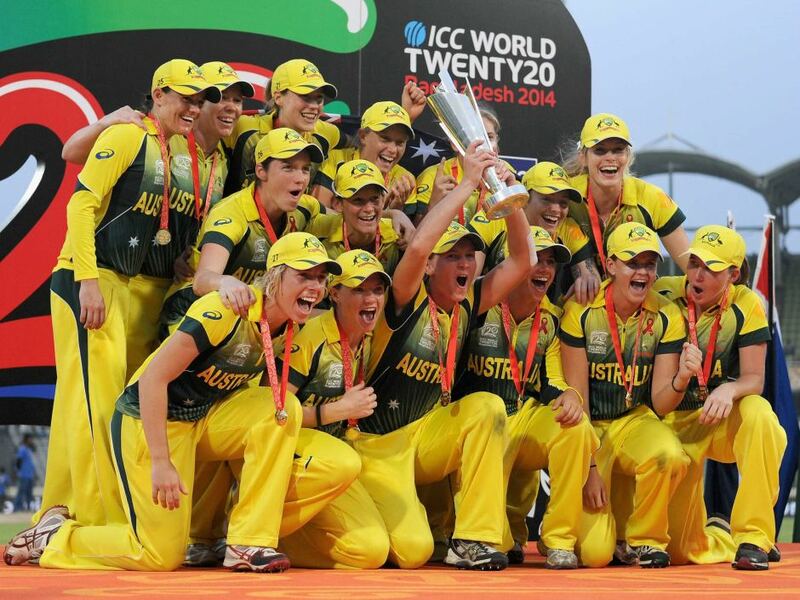 – England won the 2013-14 Women’s Ashes in Australia by 10 points to 8. England won the one-off Test at Perth by 61 runs to pocket six points. Australia won both, the ODI and the T20I series, by a margin of 2-1, but it was not enough for them to win the overall trophy. – India made a return to Test cricket after eight years, and went on to win their comeback match against England at Wormsley by six wickets. This ensured that India’s unbeaten record in Tests in England was maintained – in eight Tests, India have now won two and drawn six. Incidentally, India’s previous Test in 2006 was also a win in England. – South Africa too made a return to Test cricket, after a gap of more than seven years. In their comeback Test, they lost to India by an innings and 34 runs at Mysore. This was only the second Women’s Test between the two countries, the first instance being in South Africa in 2001-02. – India’s Thirush Kamini was the highest run-getter in Tests with 237 from two matches. The highest wicket-taker in Tests was England’s Kate Cross with 12 from two matches. In ODIs, the highest run-getter was Australian captain Meg Lanning with 499 from 11 matches, while the highest wicket-taker was Pakistan’s Sana Mir with 21 from 11 matches. In T20Is, Lanning (625 runs in 17 matches) and Australian Rene Farrell (20 wickets in 16 matches) were the highest run-getter and wicket-taker respectively. – The newly-conceptualised ICC Women’s ODI Championship began, with the top eight teams playing three-match series on a home and away basis. This first tournament will run till 2016-17, with the top four teams gaining automatic qualification for the 2017 World Cup. Currently, Australia are on top in the table with 12 points, courtesy of six wins from six matches. – The fourth edition of the ICC Women’s World Twenty20 was held in Bangladesh. Australia won their third successive title, defeating England by six wickets in the final at Dhaka. The West Indies and South Africa were the respective semi-finalists. Bangladesh and Ireland took part in the tournament for the first time. – Australia scored their highest T20I total when they amassed 191/4 against Ireland at Sylhet. Their previous highest total was 166/9 against New Zealand in 2010-11. Australia also recorded their biggest ever win, defeating Pakistan by 94 runs at the same venue. – Australian limited-overs captain Meg Lanning created a new record for the highest individual T20I score. She scored 126 off 65 balls in the aforementioned game against Ireland at Sylhet, breaking the previous record of 116* made by Shandre Fritz for South Africa against Netherlands in 2010-11. This was only the third century in women’s T20Is. – New Zealand captain Suzie Bates scored a country record of the highest individual T20I score – 94* off 61 balls against Pakistan at Sylhet. The earlier record was held by Aimee Watkins, who scored 89* against India in 2009. – Likewise, a new country record for the highest individual T20I score was also created by English captain Charlotte Edwards, who scored 92* off 59 balls against Australia at Hobart. She broke the record of 80* scored by Lydia Greenway against Australia in 2013. – Harmanpreet Kaur of India also scored a country record highest individual T20I score of 77 off 59 balls, against Bangladesh at Sylhet. She obliterated the previous record of 75 made by Poonam Raut against Bangladesh in 2012-13. – Pakistan won the Asian Games Twenty20 cricket gold medal in Incheon, South Korea. They thus retained the title they won in 2010. In the final, they defeated Bangladesh by four runs on the D/L method. Sri Lanka took the bronze medal. – Bangladesh won the first ever ODI that they played, beating Pakistan by 43 runs at Cox’s Bazar. They repeated the feat in their second ODI as well, winning by three wickets against the same opponents at the same venue. – South Africa defeated New Zealand for the first time in an international, when they secured a five-wicket win at Sylhet in a World Twenty20 match. – Australian wicketkeeper-captain Jodie Fields retired from the game after an eight-year career. She led her side in her last match, the Test against England at Perth. She played four Tests (331 runs at 66.20 and 11 dismissals), 67 ODIs (1162 runs at 28.34 and 76 dismissals) and 37 T20Is (249 runs at 22.63 and 40 dismissals). – England all rounder Arran Brindle retired from the game after a noteworthy 15-year career. She played 11 Tests (551 runs at 30.61), 88 ODIs (1928 runs at 27.94 and 35 wickets at 22.17) and 35 T20Is (373 runs at 23.31 and 22 wickets at 17.45). – Nicole Bolton became the first Australian woman and the fifth overall to score a century on ODI debut. She scored 124 off 152 balls against England at Melbourne. The previous highest by an Australian woman on debut was 98 by Jill Kennare against India in 1981-82. – Qatar hosted international cricket for the first time when Ireland, Pakistan and South Africa contested two triangular tournaments – one of ODIs and the other of T20Is – in Doha. 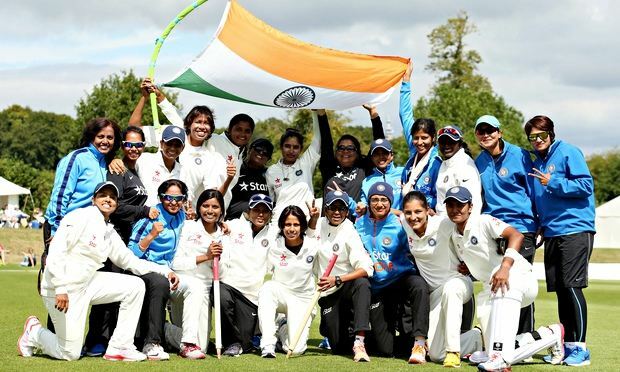 Women’s International Match of the Year – The one-off Test between England v India at Wormsley. Heavyweights England (92 and 202) lost to India (114 and 183/4), who were playing in whites after eight years, by six wickets. Women’s International Player of the Year – Meg Lanning. The Australian captain topped the run charts in ODIs as well as T20Is, besides leading her country to its third successive World Twenty20 title. She hit her career best of 135* against the West Indies in an ODI Championship match at Bowral. She also scored the highest ever T20I score by a woman, making 126 against Ireland at Sylhet. Her strike rates were brilliant – 95.04 in ODIs and 145.34 in T20Is. The Cricket Cauldron International Women’s Team of 2014 – Meg Lanning (Australia, captain), Nicole Bolton (Australia), Thirush Kamini (India), Charlotte Edwards (England), Mithali Raj (India), Ellyse Perry (Australia), Trisha Chetty (South Africa, WK), Shabnim Ismail (South Africa), Kate Cross (England), Sana Mir (Pakistan), Rene Farrell (Australia).